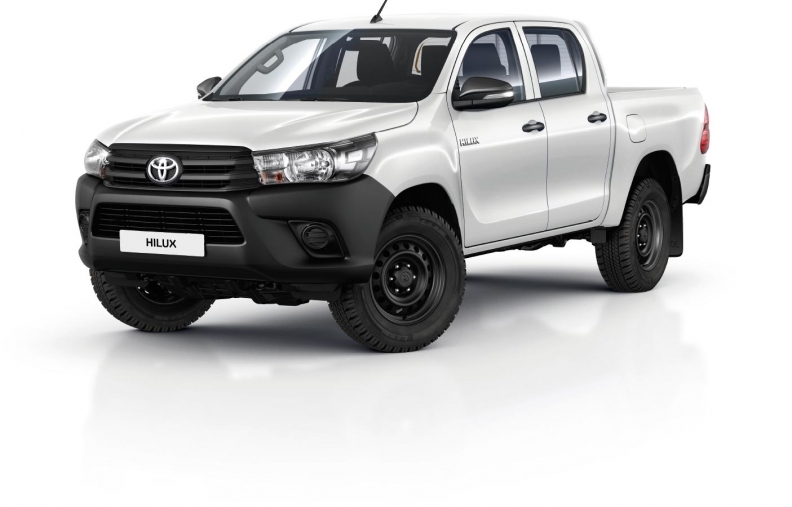 The Toyota Hilux pickup, along with the Land Cruiser SUV, is popular in emerging markets. TOKYO -- Toyota says it is cooperating with a U.S. inquiry into why its trucks are falling into the hands of the terror group ISIS. The cause for concern: The brand’s Land Cruiser SUVs and Hilux pickups, brimming with dusty machine gun-toting fighters, are mainstays in the propaganda videos by ISIS. Toyota Motor Corp. found itself at the center of the unwanted attention, when ABC News reported that the Terror Financing unit of the U.S. Treasury Department had launched an inquiry into how the militants were getting their hands on so many Toyotas. In Japan, Toyota issued a statement saying the company was cooperating with the U.S. inquiry. In any case, the world’s biggest automaker says it has no idea how their products became the militants’ apparent go-to vehicle. “It is impossible for any automaker to control indirect or illegal channels through which our vehicles could be misappropriated, stolen or resold,” Toyota said. “Toyota has a strict policy to not sell vehicles to potential purchasers who may use or modify them for paramilitary or terrorist activities,” the Japanese manufacturer added. Many of the vehicles appearing in ISIS videos seem new, ABC News reported. While other brands of trucks appear in the ISIS convoys, Toyota’s share appeared aberrantly high, it said. Toyota’s Land Cruiser line of SUVs and Hilux trucks are popular in emerging markets more for their rugged durability. But their versatility also makes them a good choice for military use. ISIS groups may be getting the vehicles several ways, the ABC News report said. One theory posits that the vehicles are being stolen from Syrian rebels or other sources overseas and smuggled into the conflict zone. Another is that ISIS sympathizers are simply buying up the trucks and shipping them to the militants. Global sales of Land Cruisers reached 368,000 vehicles in 2014, up from 293,000 in 2010. Worldwide Hilux sales totaled 649,000 last year, from 549,000 in 2010. But the 2014 Hilux volume was down from 733,000 in 2013 and 745,000 in 2012. Toyota said it has “procedures and contractual commitments in place to help prevent our products from being diverted for unauthorized military use.” It did not elaborate. The Hilux is a truck similar to the Tacoma pickup sold in the U.S. Most of the Land Cruisers appearing in the ISIS footage are not the upscale -- and pricey -- versions of the venerable SUV that are sold in markets such as the U.S. Instead, they are typically the Land Cruiser 70, a 30-year-old model that is still being manufactured in Japan. To eke out extra volume for the boxy 70, Toyota rebooted sales of the vehicle in Japan last year for the first time since 2004.